I unwrapped a package of plump, fresh green asparagus yesterday, savoring in advance the lunch I was going to make for myself. Steamed asparagus tossed with a bit of butter, salt, pepper, parmesan cheese, and garlic. Simple, delicious. While the asparagus was having its cellular structure modified by the introduction of heat in the form of evaporated water, I was throwing away the wrapper in which the stalks had been wrapped. I noticed the wrapper had a regal color, a sort of oxblood-red and brown, with gold lettering and a coat of arms emblazoned across the front. Pretty fancy for a vegetable, so instead of just throwing the wrapper away, I read it instead. Written across the top in gold were the words, in French, à la memoire de I. Kant le philosophe. In memory of I. Kant the philosopher. Forget the lack of punctuation, what’s more interesting is packaging of asparagus with a dose of Immanuel Kant. But there was more: The larger name, what would appear to be a varietal label, was ‘Socrates’. Two philosophers from entirely different millennia on one vegetable wrapper. 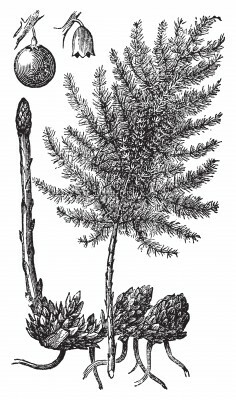 The country of origin was labelled as Peru, the vegetable was listed in five languages – French, Spanish, English, German and Dutch – as ‘green asparagus’. I admit my ignorance on the philosophical relevance of green asparagus. I know it has long been considered an aphrodisiac and stimulant of male potency, if for no other reason than virtually every animal part, mollusc, vegetable or fruit, even certain minerals, which bear even a passing resemblance to human genitalia get burdened at some point or another with the expectation of sexual enhancement. And I know asparagus is a plant that has been cultivated for centuries, from the Egyptians to the Romans to North American farmers. Louis XIV grew asparagus in hothouses and served only the points d’amour, the love-tips, to his mistress Madame Pompadour. But Socrates and Kant? Is there some categorical imperative in asparagus upon which Kant had commented? A bit of research led me to discover that the Socrates on the label referred to the name of the Spanish vegetable company. 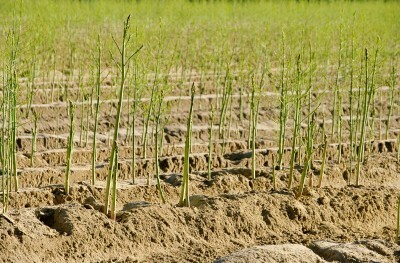 A bit more research led me to this Guardian article, How Peru’s wells are being sucked dry by British love of asparagus (http://gu.com/p/2jy2b). As it turns out, the Ica Valley in Peru exports 95% of Peruvian asparagus production, and Peru is the world’s leading asparagus exporter to the tune of $500 million annually. All this is fine and good, except that the Ica Valley is located in a desert area of the Andes, an area being reclaimed by the introduction of water and agriculture. Unfortunately, the water is being ‘relocated’ from ground sources elsewhere, and so like many other such ventures, it will run out at some point. The carbon footprint of Peruvian asparagus is bad enough, what with the long air miles between Europe and Peru, but the water footprint is at least as bad. The supermarket cost of the asparagus rapidly wilting in my pot in no way reflected the actual cost of this mild-mannered lunch for one. This is complicated by the value of the farming production to the economically depressed region of Peru, and the livelihoods which depend upon my hankering in France for the tasty green out-of-season shoots poking up out of the irrigated Peruvian desert. So, although I am no closer in finding out what the producer had in mind when the memory of Immanuel Kant was invoked on an asparagus label (perhaps the imperative to spread Spanish water-intensive farming techniques to far-flung points across the globe in search of economic benefit? ), my own moral imperative drives me to find out more about the water footprint of asparagus before I buy it again, out-of-season and across a couple of oceans. It turns out that there is, after all, a philosophical connection between the green lunch on my plate and the regal vegetable wrapper on my table.